Don’t even look at it. There’s nothing for you here. In a sight that could provoke tears in a concrete statue of a stiff upper lip some of the most vulnerable people in Britain, rail company bosses, bravely spoke out about the trials they face. “All we’re trying to do is make a huge profit while investing as much in maintenance and infrastructure as Boris Johnson would in a machine that could induce a state of contrition,” said Manfred Rudhart, CEO of Arriva. 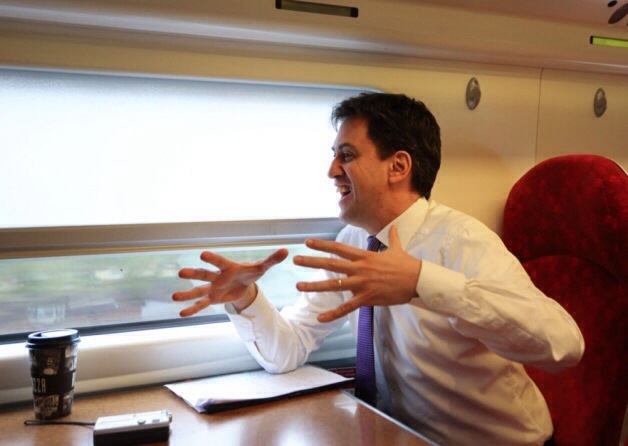 Labour leader Ed Miliband has announced his plans to re-nationalise parts of the rail network’s buffet cars. In an attempt to bring some price controls into the market he has said any government run buffet cars would have a price cap on egg mayo sandwiches. “We need to put to an end the unreliable service that sees passengers paying over the odds for a cup of scalding hot instant coffee that ends up of the train floor and the passenger’s lap,” Miliband said. “We need to bring the standard of train food to the same level as other government run institutions such as the NHS and Schools, but it’s not all bad news. 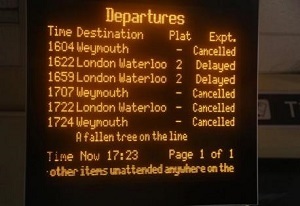 Plagued by disruptive delays caused by frequent suicides, Network Rail has announced plans to run an after-hours railway service dedicated to the needs of those who wish to take their own lives by jumping under a train. 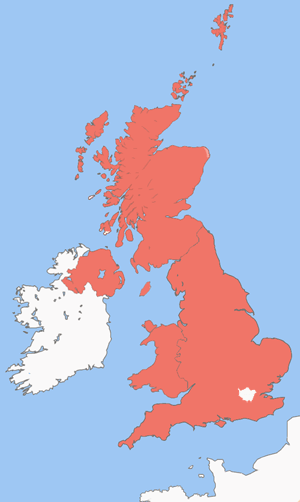 Red indicates an area that will be bled dry by the project. Train companies to use 4.1% fare rise to create ‘bring your own seat’ carriages. With the announcement that rail fares will rise by an average of 4.1% next year, train companies have unveiled how they will use the extra money to increase seating opportunities for customers during peak periods. Current rolling stock will be stripped out and tickets will now be sold on a ‘bring your own seat’ basis. The news has led to people panic buying, leaving many motorway service areas without stock of their 2 for £10 camping chairs. 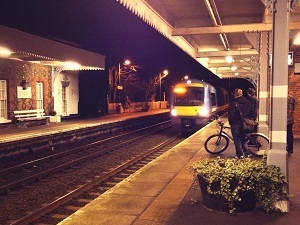 Passenger groups have said that although they are not happy with a 4.1% rise in fares being used to reduce the level of service they receive, they have said the changes are not as bad as they though they would be. In a statement, one group said they had feared much worse after seeing prototypes for roller blades adapted to run on rails. However the train companies have said they were just testing out the idea, but the trials on the same livestock was less successful. Controversially, these changes will see first class carriages also stripped bare, but as Mr Hopwood explained, this will cause far less of an issue. 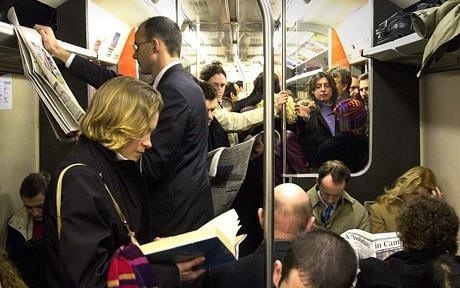 Comments Off on Train companies to use 4.1% fare rise to create ‘bring your own seat’ carriages.